HELLO SAN DIEGO!!! Oh my gosh! Do I miss Srapbook Your Life! or what? 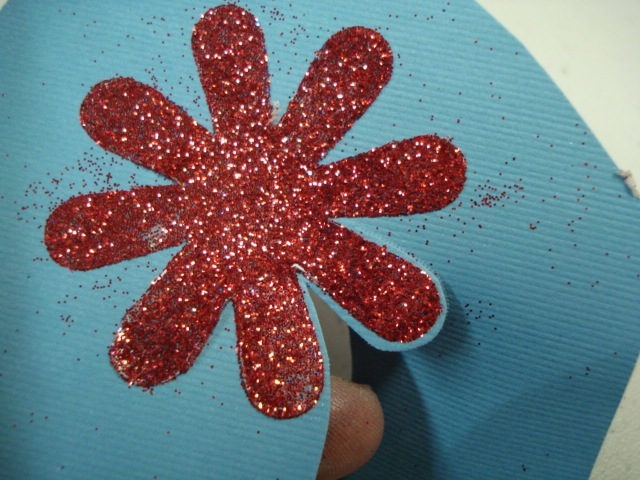 Since I can't be there having fun with all of you, I thought I'd do a tutorial on the glitter bling diecuts and hopefully we can play together long distance! 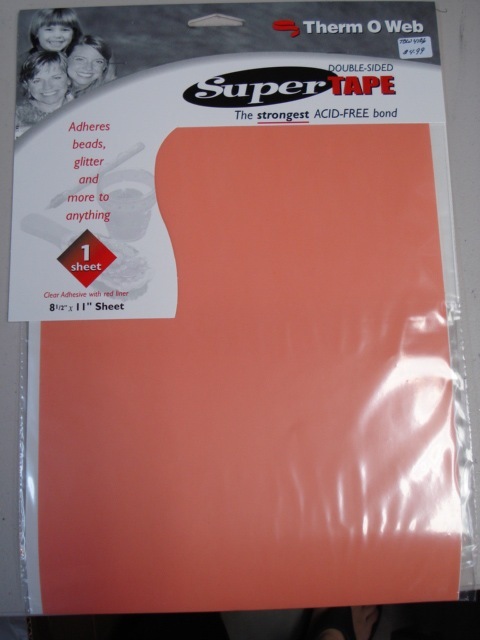 Start with some Therm O Web Super Tape. There's tons of this in the store! It's one of my very favorite products because you can do so much with it! Next, diecut it. Here I've used a Quickutz 4" die in the revolution. 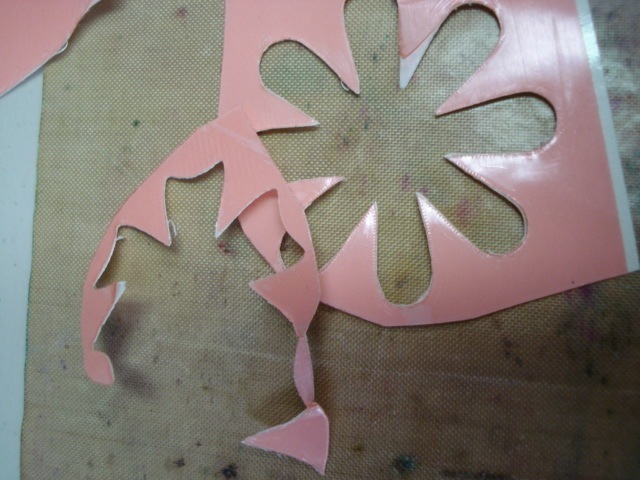 The trick is to place the pink side down facing the die. And you may need to run it through twice to get it to cut all the way through the paper backing. I've decided to do my samples as ATC cards this year. 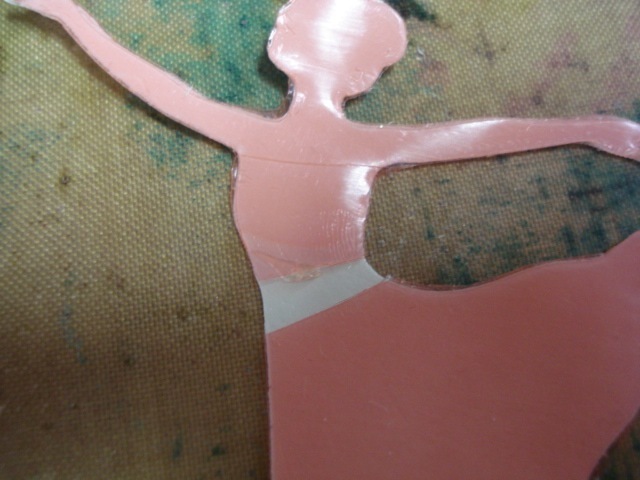 So the next step is to cut out the background and layer the diecut tape where you think you might want it. Ok....mine never ends up anything like what I start with, but this will at least give you an idea of the "look" you are going for. And don't throw away the scrap tape! 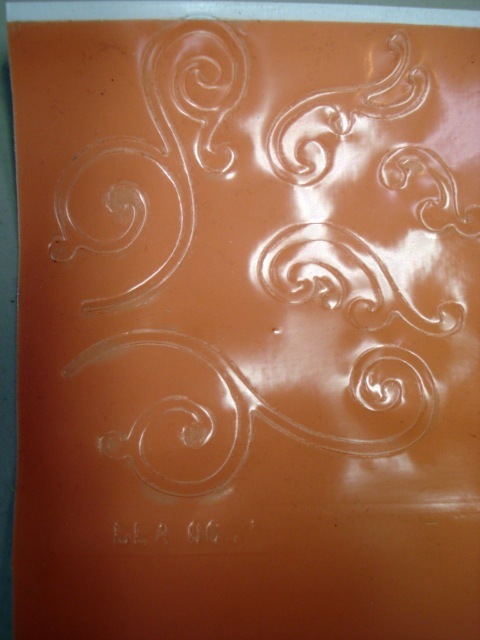 Cut it in 1/16" or 1/4" strips and use it to adhere anything! 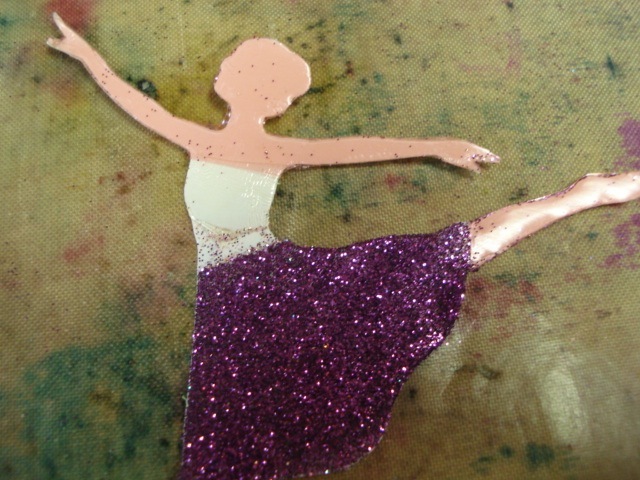 I'm starting with the ballerina and want to show you how to use multiple glitter on a single diecut. 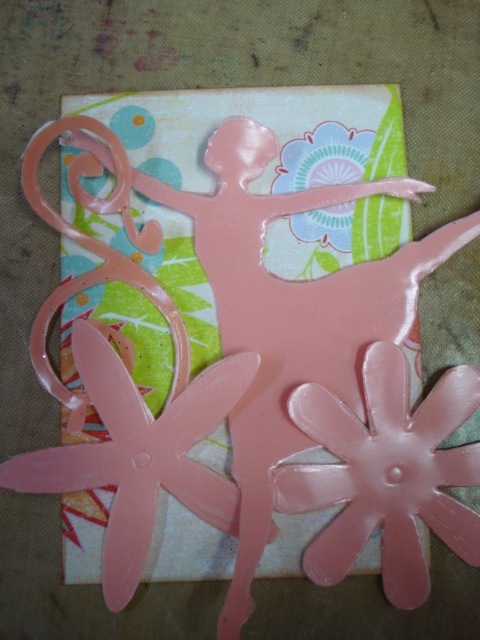 Just use your craft knife and lift of a section of the pink tape. 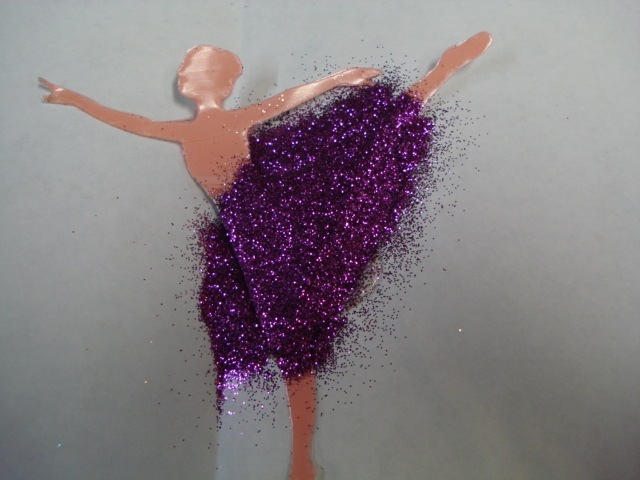 Pour on the glitter. 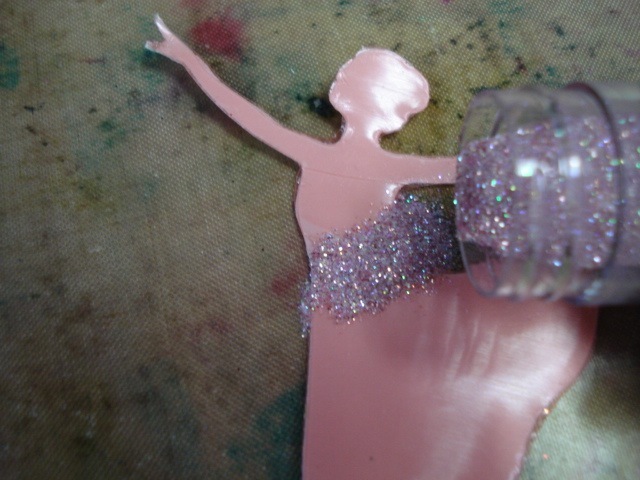 Another hint...tap the glitter down with your finger at this stage so it will be sure to stick to the tape. 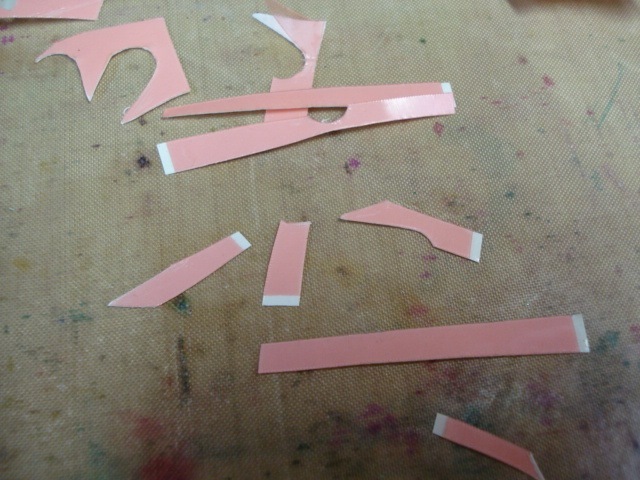 So, I have my light pink belt, next, I lift off the skirt, so that the adhesive is showing. 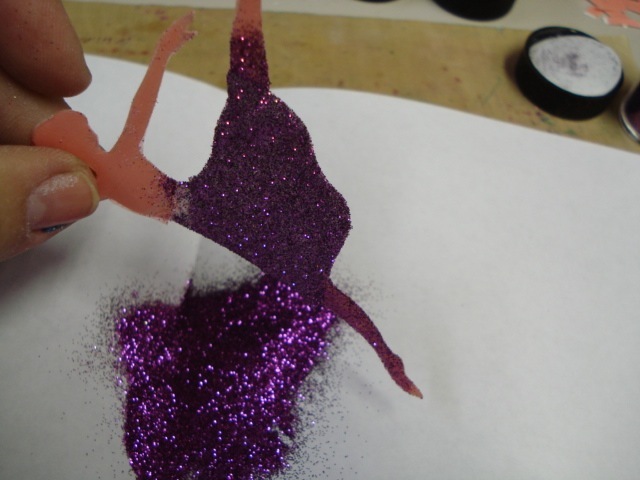 Fold the paper in half and let the glitter slide back down into the original container. This way, you don't lose anything! Now that we have a pink belt and purple skirt, let's lift off the bodice. 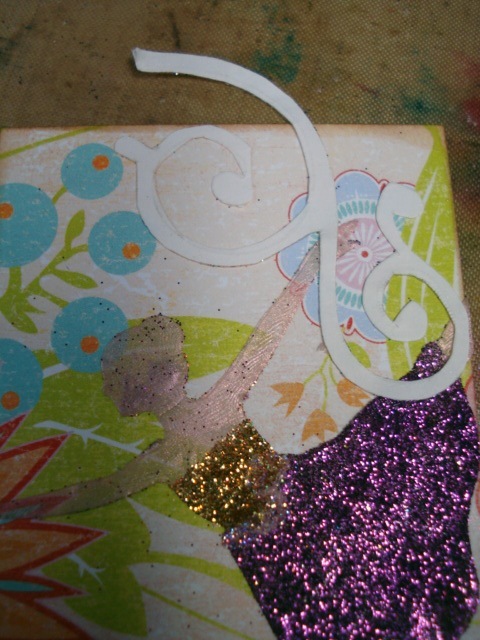 I put down gold glitter here, but didn't photo this as I think you have the idea! 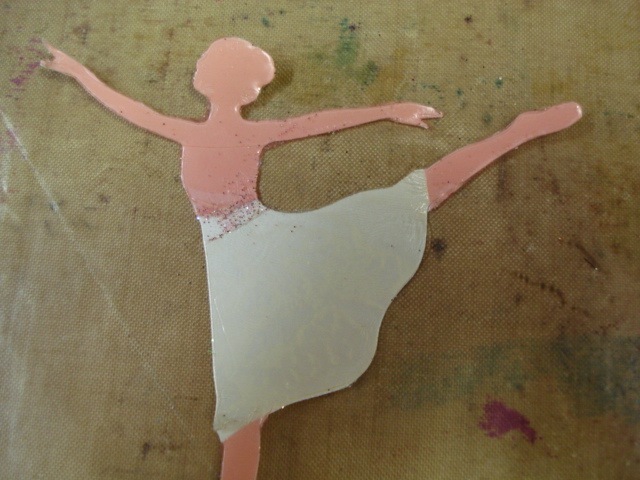 The next step is to lift of the legs and arms. 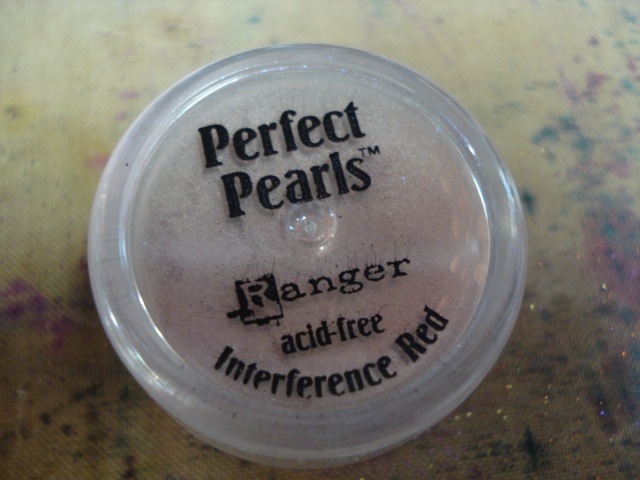 I decided to use Perfect Pearls rather than glitter...make them look like shiny skin. Just rub the perfect pearls on with your finger. 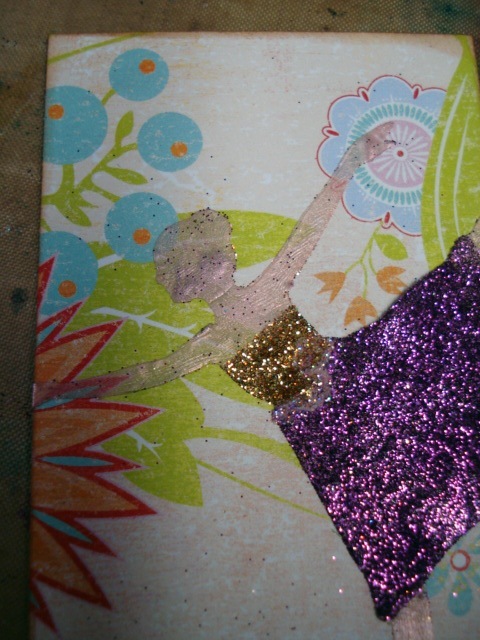 Peel off the white backing and lay her directly on to the card. 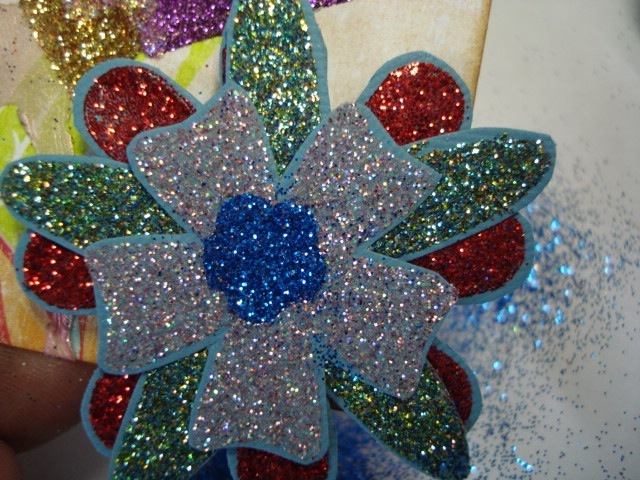 OK, technically, you could also have adhered her first and then added the layers of glitter. Either way will work fine. 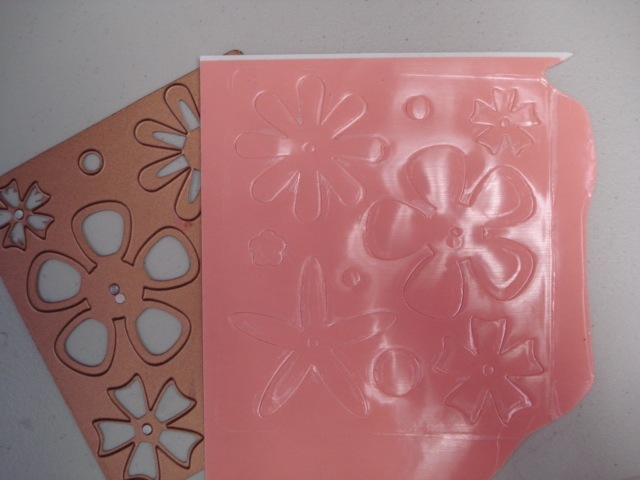 Adhere your next diecut directly to the paper. Doesn't matter whether you take off the pink tape or the white paper first...the only difference will be the direction the diecut faces. For this, I took off the pink tape first. 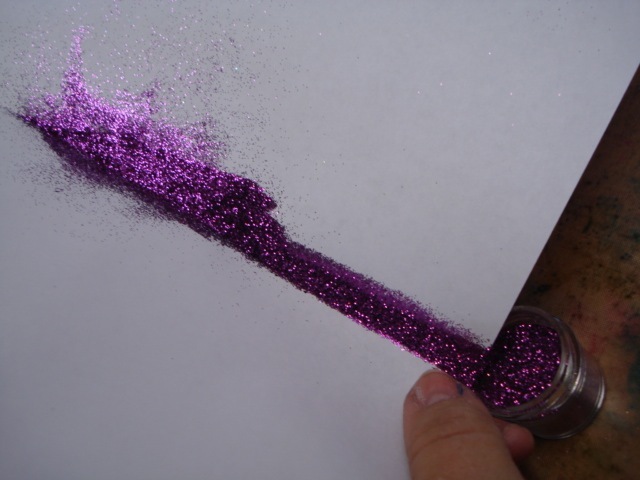 Once it's attached to the paper, peel off the other backing, then pour the glitter directly on the tape, tap down, dust off and continue on! 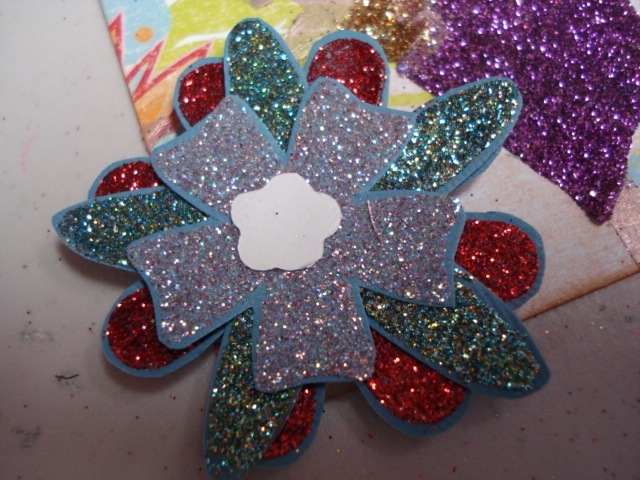 For the flowers, I wanted them to pop up off the paper, so I put them on cardstock, and cut the cardstock out a bit so there is a colored border to the diecut. 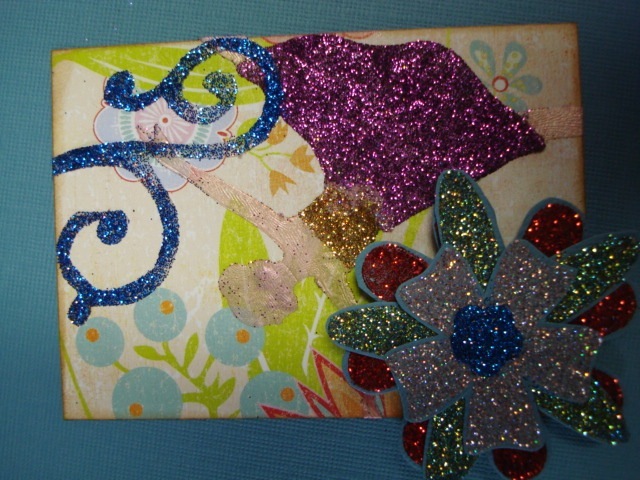 Used some thick adhesive foam (pop-dots) on the back) and put it on the card. 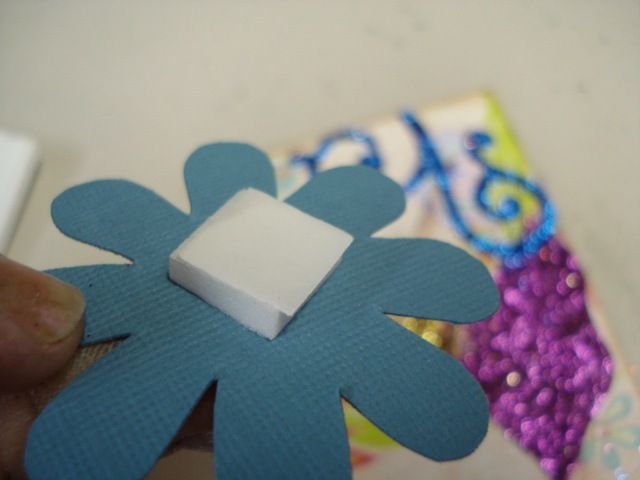 Wouldn't this make a lovely holiday ornament or package embellishment? 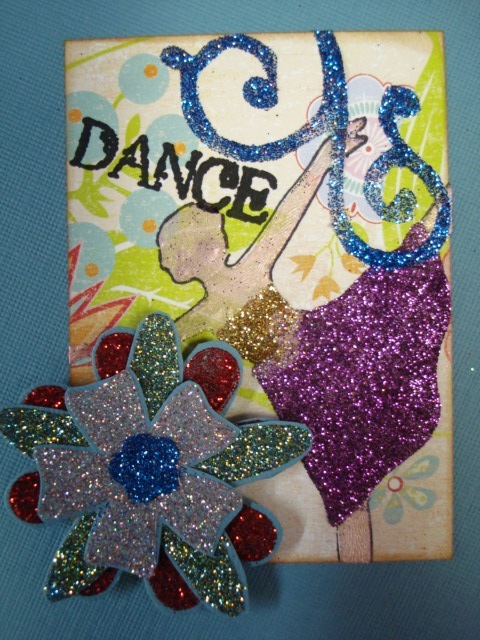 I added the "Dance" stamp (from my Lucy McGoo stamps) and outlined her body as the background paper was just to light. Wow! 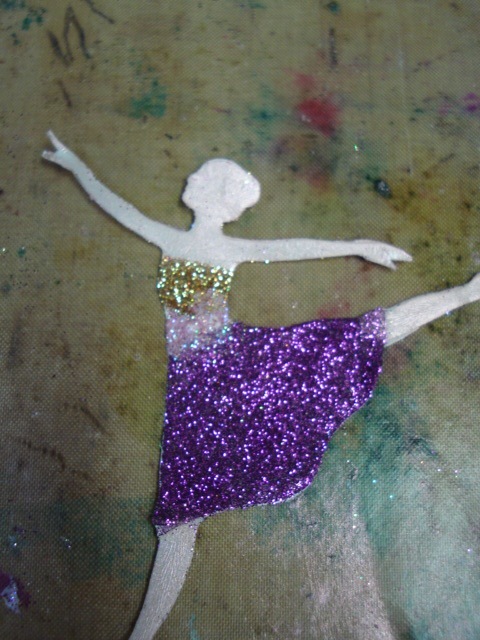 Glitter diecuts! 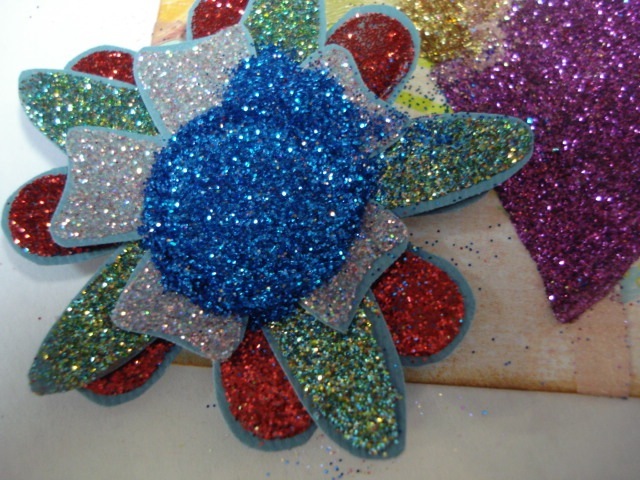 What a great way to add some bling to your project. And who doesn't like a little bling every now and then? If you like the idea of me writing guest blogs, just let Liz know! In the meantime, feel free to check out my life at Jen Lowe Designs to see what I'm up to in Colorado! I'm planning on coming back to SBYL! in July. Yeah. Scrapbook Yourlife has a blog. Loved the tutorial. Thank you Liz and thank you Jen.